Now that Dragon's Bride is available (and thank you to everyone who has purchased it in the last week. 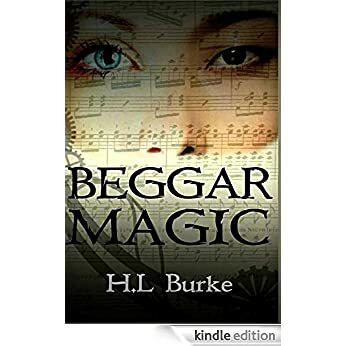 I hope you enjoy it as much as I enjoyed writing it), I am ready to announce the release date for my next boo Beggar Magic. My original plan was to release it in early January, but everything has been going so well on the editing front that I upped the date. Beggar Magic will now be available December 9th, 2014! You can pre-order the book now (through the link above), but if you are really eager to read it and also like to write reviews (on Amazon, Goodreads, a Blog or all of the above), keep reading. You might be able to score a free advanced copy. Yes, for this book, I'm doing ARCs. ARC stands for "advanced reviewer copies." They will not be finished proofs. I will be releasing them before they go through proofreading (which is the last step before publishing), but they will be finished as far as story and characters go . . .they just might have a few typos. The idea is that ARCs are unfinished (traditionally unbound, but these will be either ebooks or printed through createspace, so that doesn't apply) copies, released early so that readers and reviewers can have time to read them before release date. That way when the book does go live, it will have some waiting reviews and people willing to vouch for the story. If you are interested in receiving an ARC, please contact me (hlgstrider@gmail.com). You do not need to have a blog. An Amazon review is probably more valuable to me than a blog review, so if you are willing to review on Amazon, I'll send you a copy. If you dislike the book, you are not required to finish a review, nor are you required to leave a positive review (though if you have mostly negative things to say, I would be curious why it didn't resonate with you.). What a beautiful and creative cover! I finally started reading my ARC two days ago, and so far, I'm loving it! Awesome! I added a new scene yesterday and now I want to send you an updated version. It's not a plot important scene, just some character stuff.